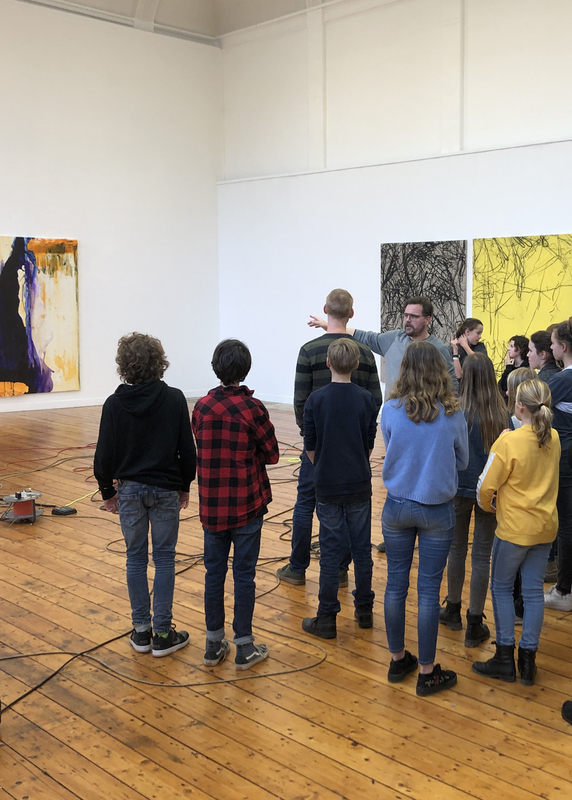 Around 30 students from De Nieuwste School, Tilburg, visit the exhibition SHAKE, RATTLE, ROLL! At De Nieuwste School, pupils learn through themes, free choice topics and workshops. Exhibiting artist Koen Delaere leads them around the exhibition.